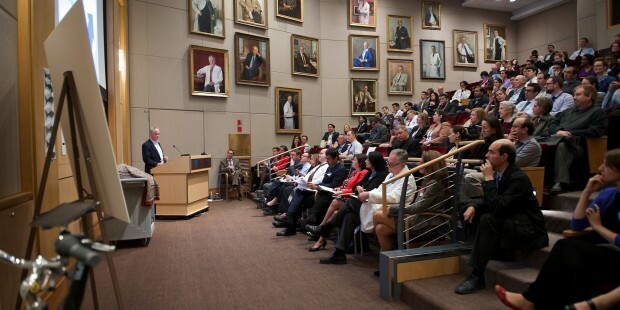 The Brigham and Women’s Hospital Innovation Hub (BWH iHub) held its own pilot shark tank, drawing 10 finalists out of over forty applicants to the stage to pitch their ideas to the “sharks” (BWH clinical faculty). 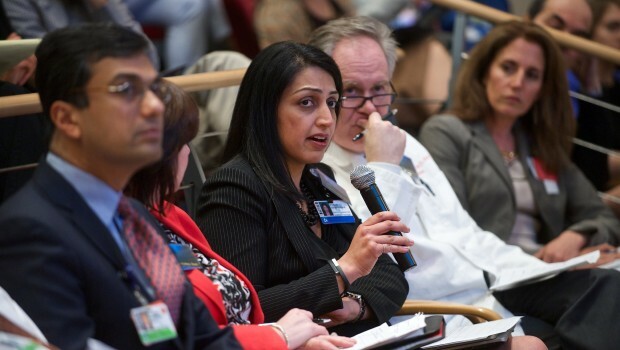 Originally published April 30, 2014 on MedTech Boston. Three other companies out of the ten presenters won the opportunity to pilot their idea.Tenacity Health, a peer-coaching platform using incentives to motivate patients to change their health, garnered the interest of many of the “sharks.” It ended up pairing with a clinician from the audience who was introduced as a seventh shark: Katherine Rose, a primary care provider at BWH’s South Huntington practice.